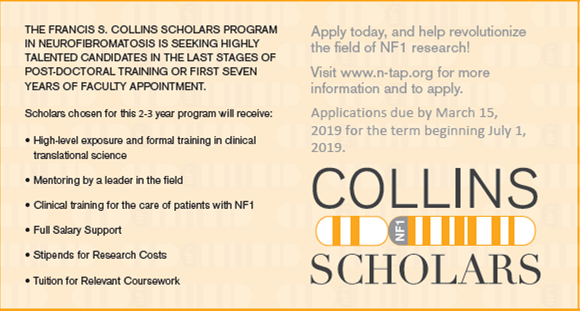 The Francis S. Collins Scholars Program in Neurofibromatosis Clinical and Translational Research is building a community of exceptional clinician scientists who will lead neurofibromatosis type 1 (NF1) research and clinical care. 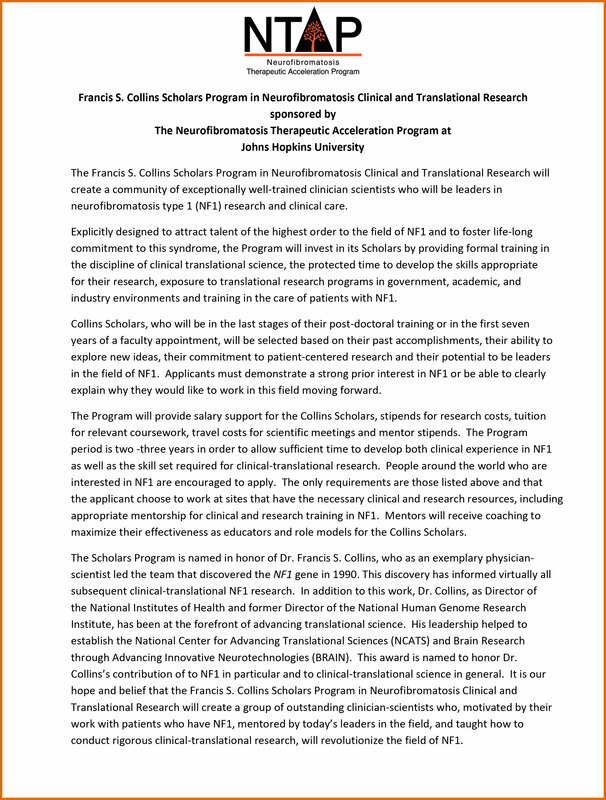 By providing the “Collins Scholars” with critical support and training in the management of NF1 and the conduct of rigorous clinical translational research, the program aims to revolutionize the field of NF1 and improve treatment options for patients now and in the future. 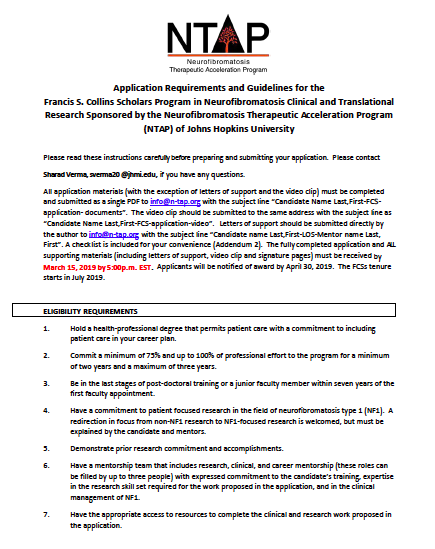 Now accepting applications for Francis Collins Scholars Progam in Neurofibromatosis! Malignant peripheral nerve sheath tumors (MPNST) are aggressive soft tissue sarcomas and the leading cause of mortality among neurofibromatosis type 1 (NF1) patients. Most MPNSTs arise from pre-existing internal plexiform neurofibromas (PNs). The only known effective treatment is complete surgical resection with negative margins but this can be limited by diffuse tumor infiltration into adjacent nerves. A limitation to current methods for detection, using standard MRI sequences, is that they are qualitative in nature, and do not reliably distinguish between benign PNs and MPNSTs. The recognition of pre-malignant tumor foci at a quantitative level before development of a clinical MPNST would be highly coveted to enable early intervention. Radiomics is a high-throughput computational method that extracts quantitative features from MRI, such as tumor volume, intensity, shape, and texture. It is hypothesized that radiomic features that will allow for differentiation between benign and malignant tumors can be identified from the analysis of a large database of MPNST and PN image files with paired clinical data, from which a predictive model can be built and validated in a prospective fashion. For this approach, MRI scans and clinical data from 200 NF1 patients will be collected from eight participating sites, including data on previously described risk factors of MPNST. Following review of the provided images to determine which are of sufficient quality for inclusion, a training set (N = 60 in each MPNST and PN group) and validation set (N = 20 in each MPNST and PN group) of 160 patients total will be assembled. Radiomics analysis will be utilized to identify MRI features that differentiate between benign and malignant tumors. The ability of the identified radiomic features (from the training/validation phase) to predict malignant transformation will then be evaluated in an independent test set of 40 patients (N = 20 MPNST, N = 20 PN). Finally, the creation and validation of a predictive model with the ability to stratify patients by their risk of future malignant transformation will be pursued. From this work, the identification of patients at risk of developing MPNST will be realized, thereby enabling early intervention and substantially improving patient morbidity and mortality. Much of the real life impact of NF1 on children and families relates to learning and behavioural difficulties with long term consequences on academic and occupational functioning. Problems with working memory (WM) are particularly relevant for day-to-day functioning since they are important listening and following instructions, reasoning and making decisions. The aim of this study is to understand the brain mechanisms underlying WM difficulties in NF1 and discover new treatments that might be used to help. This study will investigate how the brain chemical GABA as assessed with Magnetic Resonance Spectroscopy (MRS) relates to WM difficulties in NF1 as assessed by cognitive studies and correlated with functional MRI measures such as blood-oxygen level-dependent (BOLD). I hypothesize that GABA concentration is related to WM performance on cognitive studies. Using a mechanistic experimental trial, transcranial Direct Current Stimulation (tDCS) will be used to modulate GABA. We will then study the relationship between baseline GABA levels and WM and levels of GABA after tDCS and its relationahip to WM as assessed both BOLD signal on MRI and WM performance metrics. The clinical study will be conducted in a cohort of 30 adolescents aged 11-17 years (randomized, crossover design) with NF1, applying real or sham tDCS to the dorsolateral prefrontal cortex (DLPFC). The 30 patients enrolled in the study will visit clinic two times, for a total of 60 patient visits. State-of-art real time imaging techniques such as MRS and task based functional MRI (fMRI) will be used to investigate the effect of tDCS on GABA concentration, changes in functional plasticity, and working memory. Exploration of the structural imaging markers that might relate with WM metrics will also be investigated. It is anticipated that findings from this study will not only help elucidate the neural underpinnings of WM deficits in people with NF1 but, also provide the biologic and functional evidence to support tDCS a novel, low-cost intervention that can be to improve WM in people with NF1. One of the most common cancers affecting adults with neurofibromatosis type 1 (NF1) is the malignant peripheral nerve sheath tumor (MPNST), a highly aggressive tumor. Sadly, for those individuals with NF1 who develop these cancers, there are limited treatment options, and the vast majority of people with these malignancies will die within 5 years of diagnosis. Over the past decade, research has revealed that NF1-MPNSTs represent a group of diverse cancer types, characterized by different genetic changes. In this respect, there are likely different subtypes of MPNSTs that each harbor distinct sets of molecular changes, and thus have different responses to rationally-chosen treatments. Unfortunately, current small-animal models of NF1-MPNST used to discover and evaluate new therapies are largely engineered with one set of genetic changes, limiting their ability to fully represent the human condition. For this reason, Dr. Hirbe believes that the failure to discover effective treatments is partly due to the inability of these preclinical models to accurately model the genetic landscape of the human tumors. 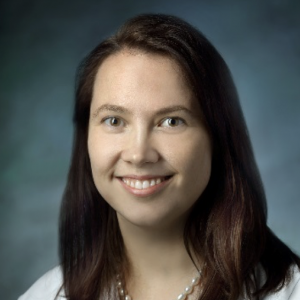 To address this problem, Dr. Hirbe and her team proposes to develop and characterize a set of ten patient-derived MPNST xenograft lines directly obtained from actual human tumors. These lines should more fully represent the genetic diversity seen in patients, and therefore be more likely to identify promising treatments for human clinical trials. Malignant Peripheral Nerve Sheath Tumor (MPNST) arising from the cellular component of the peripheral nerves represents a group of highly aggressive soft tissue sarcomas with limited treatment options. They can occur in the setting of type I neurofibromatosis (NF1-associated), or sporadically or in association with prior radiotherapy (RT-associated). 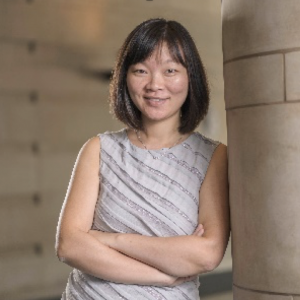 Using comprehensive genomic approaches, Dr. Chi and others have discovered that the majority of MPNSTs have inactivation of three tumor suppressor pathways, including the NF1, the CDKN2A (INK4A/ARF) and the Polycomb repressive complex 2 (PRC2) pathways. Here, Dr. Chi proposes to use multidisciplinary approaches to establish authentic MPNST model systems for preclinical investigation. Dr. Chi and her team will also evaluate a combination treatment strategy of trametinib (a MEK inhibitor) and ribociclib (a CDK4/6 inhibitor) in various cell line and animal models of MPNST. Lastly, Dr. Chi and her team will conduct a screen using RNA interference technology to identify and characterize the genes that are important for MPNST growth and survival when the PRC2 pathway is inactivated. These studies will build important resources for the NF1-research community and can identify novel treatment strategies and streamline clinical therapeutic development for patients with NF1-associated MPNSTs. The overall goal of Dr. Cannon’s project is to complete a longitudinal natural history study of dermal neurofibromas to enhance current knowledge of dermal neurofibroma development as well as improve the design, implementation, and interpretation of clinical trials targeting DNs. To address the clinical trial facet of this project, a trial using the MEK1/2 inhibitor selumetinib will be piloted. Dr. Cannon will also evaluate the quality of life impact of dermal neurofibromas before and during Selumetinib treatment. For both facets of this study, she and her team will examine genomic alterations that correlate with DN development and selumetinib response. The overall goal of Dr. Staedtke’s project is to explore C. novyi-NT as a novel therapeutic for NF1-associated MPNSTs and to gather preclinical evidence substantiating clinical trial for for C. novyi-NT therapy in NF1 patients with MPNSTs. Publication 4: Bai RY, Staedtke V, Xuwei X, Riggins GJ. Prevention of tumor seeding during needle biopsy by chemotherapeutic-releasing gelatin sticks. Oncotarget. 2017 Feb; 8(16): 25955-25962. Publication 5: Staedtke V, Bai RY, Blakeley JO. Cancer of the peripheral nerve in neurofibromatosis Type 1. (Review). Neurotherapeutics. 2017, 14: 298-306. Proving that treatment with MEKi in established tumors can provide therapeutic benefits, delaying expansion of the tumor by either decreasing or delaying immune cell response, axonal injury, and RGC loss. The goals of Dr. Bornhorst’s study are to 1) identify a potential developmental time window when low dose MEKi can be used to prevent OPG formation all together and 2) provide critical information about optic nerve changes that are responsible for vision loss during OPG formation, and how MEKi can be used to improve visual deficits. Publication 1: Bornhorst M, Hwang EI. Experimental Therapeutic Trial Design for Pediatric Brain Tumors. J Child Neurol. 2016 Oct;31(12):1421-32. Publication 1: de Blank PM, Fisher MJ, Lu L, Leisenring WM, Ness KK, Sklar CA, Stovall M, Vukadinovich C, Robison LL, Armstrong GT, Krull KR. (2016). Impact of Vision Loss Among Survivors of Childhood Central Nervous System Astroglial Tumors. Cancer 2016 Mar 1;122(5):730-9. To mitigate the morbidity and disfigurement attributable to CNFs arising in NF1, in this project, Steensma’s objective is to improve health and quality of life (QOL) by targeting essential mechanisms of CNF initiation and progression. In doing so, we will define a molecular pathogenesis specific to CNFs that encompasses existing knowledge regarding CNF cell-of-origin, as well as new knowledge regarding the role of cellular intrinsic factors such as DNA damage repair mechanisms, secondary mutations, epigenetic regulation of gene expression, and aberrant oncogene activation; extrinsic factors such as autocrine/paracrine feedback loops; and environmental factors such as ultraviolet radiation..
Shruti Garg, M.B.B.S., Ph.D., is a child and adolescent psychiatrist from Mumbai, India. After finishing medical school there, she moved to the U.K. to complete her training at Oxford University and the University of Manchester. She now splits her time researching and seeing patients at the Royal Manchester Children’s Hospital. After learning about NF1 during her residency in 2008, she noticed a lack of understanding about its deep psychological, social and cognitive effects. “Much of the real-life impact of NF1 on children and families comes from learning and behavioral difficulties that aren’t well studied,” she says. “For example, many kids with NF have autism, too.” With this award, Garg plans on studying working memory in children with NF1. (Working memory helps us pay attention, follow instructions, reason through things and make decisions.) She will use imaging to monitor levels of the brain chemical GABA, which is related to working memory. She already has preliminary data suggesting that GABA levels improve with transcranial direct stimulation to the frontal area of the brain. She is honored to be the first non-U.S. resident and the first cognitive researcher to be inducted as a FCS. Ina Ly, M.D., grew up in Cologne, Germany, and attended King’s College London for medical school before coming to the U.S. for a postdoctoral research fellowship in neuro-oncology at Massachusetts General Hospital (MGH), Boston, in 2010. After completing her residency in neurology at the University of Washington, Seattle, she returned to MGH and the Dana Farber Cancer Institute in 2015 for her clinical fellowship. Her current research involves the use of advanced magnetic resonance imaging techniques, such as diffusion, perfusion and spectroscopy imaging, to study the biology of nervous system tumors. Through her clinical exposure to NF1 patients, she developed a strong interest in peripheral nerve sheath tumors (PNST), which can become malignant and contribute to significant patient morbidity and mortality. Her goal is to apply her knowledge of advanced MRI to identify imaging features that predict tumor growth and malignant transformation in PNSTs. She is grateful to NTAP and the NF1 community for supporting her research in order to advance our understanding of NF1 and have a positive impact for patients. 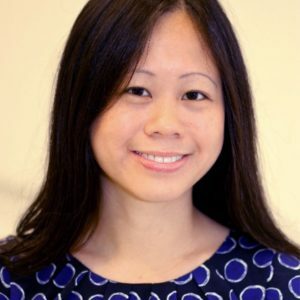 Dr. Ping Chi is an Assistant Member in the Human Oncology and Pathogenesis Program (HOPP), and an Assistant Attending Physician in the Department of Medicine at Memorial Sloan Kettering Cancer Center in New York City. Dr. Chi completed clinical training in internal medicine at the Brigham and Woman’s Hospital and Medical Oncology at Memorial Sloan-Kettering Cancer Center, and a concurrent postdoctoral training in epigenetics and chromatin biology in the C. David Allis’ lab at the Rockefeller University. Dr. Chi’s current laboratory research focuses on understanding the genetic and epigenetic mechanisms of transcriptional activation of novel oncogenic transcripts and oncogenic transcription factors in solid tumor malignancies. Through mechanistic studies, she aims to identify novel therapeutic strategies to target oncogenic transcription factors and aberrant transcriptional activation of oncogenes. Dr. Chi also maintains an active academic clinical practice, leads early phase clinical trials, and works with a multidisciplinary team to care for patients with sarcomas, with the goal to expedite clinical translation of laboratory research. 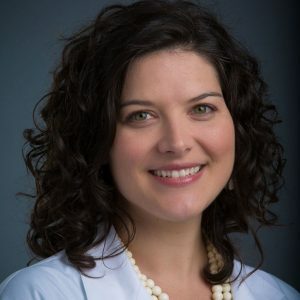 Dr Angela Hirbe is a graduate of the Washington University M.D. Ph.D. program and completed her residency in Internal Medicine and fellowship in Oncology as part of the Physician Scientist Training Program. Dr. Hirbe has had a longstanding interest in Neurofibromatosis research and her post-doctoral work was performed in the laboratory of Dr. David Gutmann where she used next-generation sequencing technologies to identify b-III spectrin as a protein involved in malignant peripheral nerve sheath tumor (MPNST) pathogenesis and developed a mouse model for this deadly type of sarcoma. This work has transitioned into her own lab when she joined the faculty at Washington University. 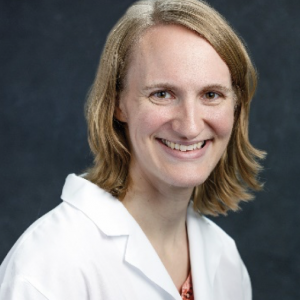 Dr. Hirbe is currently an Assistant Professor in the Division of Medical Oncology in the Department of Medicine at Washington University in St. Louis. Clinically, Dr Hirbe treats patients with sarcoma and has a strong clinical interest is in the care of patients with NF1-MPNST. 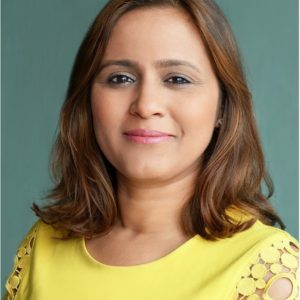 Her laboratory continues to use genomics to identify drivers in MPNST pathogenesis and further develop mouse models for preclinical studies and therapeutic drug testing. Ashley Cannon, PhD, MS, CGC is an Assistant Professor at the University of Alabama at Birmingham in the Department of Genetics. Dr. Cannon was named to the Francis S. Collins Scholars Program in 2016. She is a neuroscientist and certified genetic counselor. Her previous research experience at Mayo Clinic Florida encompassed molecular genetics, neuropathology, and mouse modeling of neurodegenerative diseases. This research exposed her to the significance of genetic counseling for individuals and families affected by genetic conditions and motivated her to become trained as a genetic counselor. She received an MS in Genetic Counseling at UAB in 2015. She currently provides genetic counseling for the Neurofibromatosis Clinic and Undiagnosed Diseases Program. Her current research comprises the longitudinal quantification, treatment, and psychosocial impact of cutaneous neurofibromas in individuals with NF1. She is a native of Jacksonville, Florida and loves science fiction novels and movies. Dr. Verena Staedtke received her MD/PhD from the Charite, Medical School of the Humboldt and Free University in Berlin (Germany). 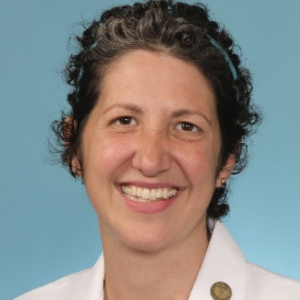 Currently an Assistant Professor and Director of pediatric Neurofibromatosis at Johns Hopkins, she completed her pediatric neurology residency and UCNS neuro-oncology fellowship at Johns Hopkins. 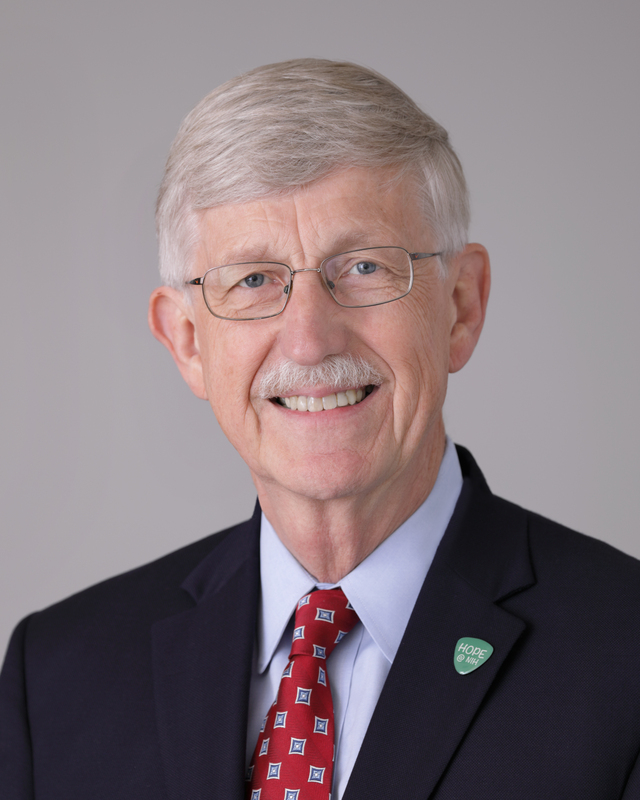 Dr. Staedtke’s spearheaded the use of the therapeutic “anti-cancer” agent Clostridium novyi-NT (C. novyi-NT), a genetically modified anaerobic bacterium, for the use in nervous system cancers, particularly glioblastomas and malignant peripheral​ nerve sheath tumors, the most common malignancy in NF1 patients. In addition, she is interested in immunotherapies and chemoprevention in NF1. In her free-time, Dr. Staedtke is an avid swimmer, painter and plays the piano, flute and ping-pong. 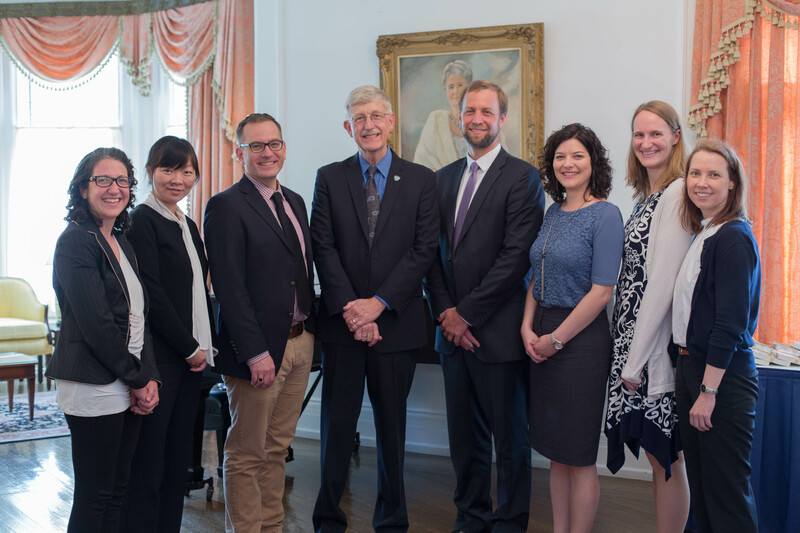 Peter de Blank, MD, MA, MSCE was a Francis S. Collins Scholar in NF Clinical and Translational Research from 2014-2016 and continues to receive funding for ongoing projects from NTAP. He is also a current St. Baldrick’s Scholar. 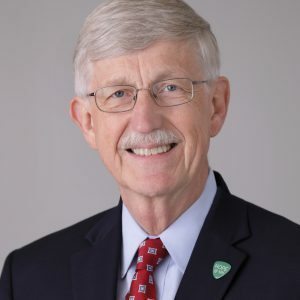 He graduated from the University of California, San Francisco School of Medicine in 2005, and completed a Masters of Arts in English and American Literature at Stanford University, and a Master’s of Science in Clinical Epidemiology and Biostatistics at the University of Pennsylvania. He completed residency in Pediatrics, and fellowships in Pediatric Hematology & Oncology and Pediatric Neuro-Oncology at the Children’s Hospital of Philadelphia. Dr. de Blank was a member of the faculty at Rainbow Babies & Children’s Hospital from 2012-2016 where he served as Scientific Director of the NF Clinic from 2014-2016. 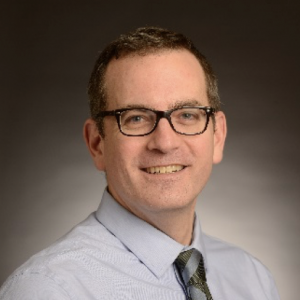 He joined the faculty at Cincinnati Children’s Hospital Medical Center in 2017 where is an Associate Professor in the division of Neuro-Oncology and leads efforts on cancer imaging in the Cancer & Blood Diseases Institute. 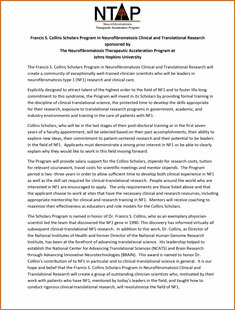 His research focuses on the application of advanced MR techniques in children with NF1 and brain tumors. He is interested in the characterization of novel MR sequences to investigate brain tumors, and the development of early radiographic biomarkers of functional complications of brain tumors and brain tumor therapy. Dr. de Blank has two wonderful girls (Casey 8 years and Reed 6 years) and a wife he doesn’t deserve (Robin). When he has free time, he remembers that he liked to play Ultimate Frisbee. Dr. Matthew Steensma received his B.A. from Hope College in Holland, Mich., and his M.D. from Wayne State University School of Medicine in Detroit, Mich. He subsequently completed internship and residency training in the Grand Rapids Orthopaedic Surgery Residency Program. After completing residency, he trained in the laboratories of Drs. George Vande Woude and Rick Hay at VARI under an Orthopaedic Research and Education Foundation training award. 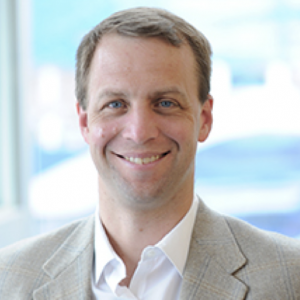 Subsequently, Dr. Steensma was admitted into the prestigious fellowship program in Musculoskeletal Surgical Oncology in the Department of Surgery at Memorial Sloan Kettering Cancer Center in New York where he obtained sub-specialty training in the surgical management of musculoskeletal tumors. His fellowship in New York also provided Dr. Steensma with the opportunity to work in the laboratory of Dr. Steve Goldring, Chief Scientific Officer of the Hospital for Special Surgery (HSS) in New York. Dr. Goldring is one of the world’s leading orthopaedic researchers and has a particularly strong reputation for training leading clinician-scientists. During his training with Dr. Goldring, Dr. Steensma further developed his interests in understanding the molecular and cellular mechanisms underlying the development of bone and soft-tissue sarcomas. Dr. Steensma joined Van Andel Research Institute in 2010 as an Associate Scientific Investigator in the Center for Skeletal Disease Research.